Alliant, GSA’s premier enterprise GWAC, provides flexible access to customized IT solutions from a large, diverse pool of industry partners. With a $50 billion program ceiling and a five-year base period with one five-year option, Alliant allows for long-term planning of large-scale program requirements. In its first three years, 40 federal agencies have awarded over $9 billion on Alliant. Period of performance: April 2009 to April 2014, with one five-year option from April 2014 to April 30, 2019. This provides a common framework and terminology for defining and understanding the components of an IT solution. Alignment with the FEA and DoDEA enable Alliant to evolve over time as technologies change without requiring a technical refresh. It also conforms to Office of Management and Budget (OMB) policy mandates for reporting on IT investments. Alliant features fixed-price, cost-reimbursement, labor-hour, and time-and-materials task order types, providing greater flexibility in procuring different types of IT products and services and meeting your mission requirements. The federal government’s first cloud-based email service. 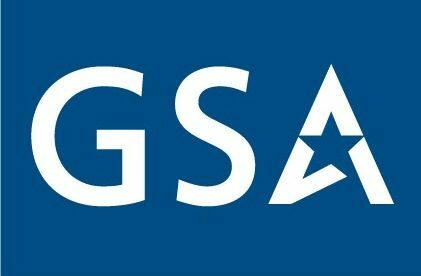 GSA used Alliant to purchase the federal government’s first cloud-based email service, expected to lower costs by 50 percent in the next five years. The five-year, $6.7 million task order went to a number of industry partners in a teaming arrangement. “The customer service that the GSA Alliant GWAC team provided was exceptional and the Statement of Work review support was very helpful.” — Gabriel Aviles, U.S. Securities and Exchange Commission. Alliant Small Business, GSA’s premier small business set-aside GWAC, provides flexible access to customized IT solutions from a large, diverse pool of industry partners. With a $15 billion program ceiling and a five-year base period with one five-year option, Alliant Small Business allows for long-term planning of large-scale program requirements while strengthening opportunities for small businesses. Alliant Small Business features fixed-price, cost-reimbursement, labor-hour, and time-and-materials task order types, providing greater flexibility in procuring different types of IT products and services and meeting your mission requirements. Operating an information assurance response center. One small business was awarded a $52 million task order to operate the Department of Energy’s National Nuclear Security Administration’s (NNSA) Information Assurance Response Center (NIARC) in Las Vegas, NV. The Department of Energy’s National Nuclear Security Administration (NNSA) Office of the Chief Information Officer awarded a $70 million task order to a small business. The Department of the Navy recently conducted a General IT Development and Support Services strategic sourcing analysis, focusing on cost savings. They recommended increasing the use of existing contract vehicles to generate greater competition while reducing cycle time, including the Alliant Small Business GWAC. Alliant Small Business will work with the Navy team to establish and deliver training opportunities.